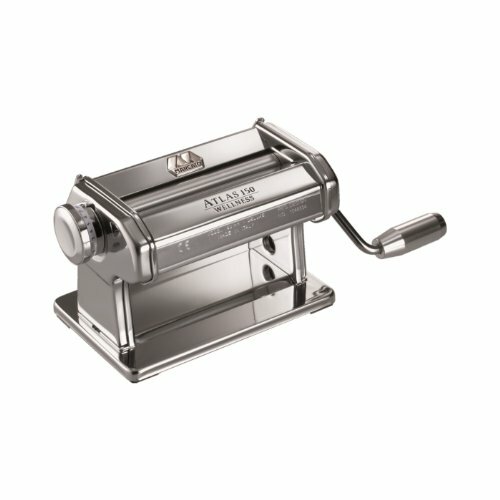 Marcato’s Original World-Famous Atlas 150 Pasta Roller evenly rolls pasta dough, pastry dough, and even clay for crafts with a uniform thickness in minutes. Evenly roll sheets of homemade pasta dough, up to 150-millimeters wide. Pasta that’s rolled out to a uniform thickness has a more consistent texture that cooks evenly for tastier results. Nothing tastes better than fresh authentic homemade pasta and learning how to make fresh pasta couldn’t be easier! The Atlas Pasta Roller features an adjustment dial to easily control the dough thickness and personalize pasta to each recipe on the fly. Quickly choose from 10 different thickness settings, between a paper-thin 0.6-millimeters to 4.8-millimeters. If desired, the Atlas Pasta Roller is equipped to attach a Pasta Drive motor or any of 12 pasta cutting accessories, all sold separately. Fresh pasta can be dried on a pasta drying rack (also sold separately) and stored for later use, or cooked and enjoyed immediately. Works great for rolling clay for crafts, too. Made in Italy from stainless steel. Wipes clean with a dry brush or cloth after each use. 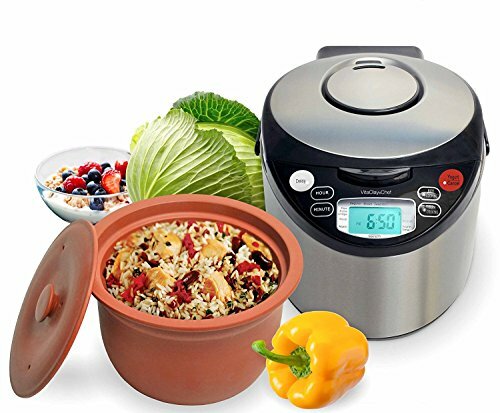 Includes the Pasta Roller, hand crank, clamp, complete instructions and a 10-year manufacturer's warranty. Available exclusively from HIC Harold Import Co. 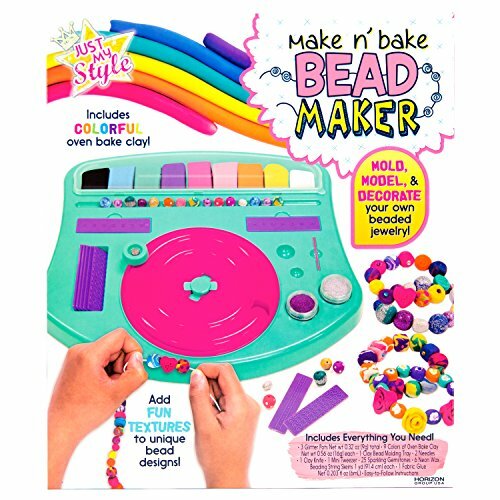 Product Awards:Creative Child Magazine: 2016 Kids Product of the Year Award, Kids Creative Products & Accessories categoryMold, model and decorate your own beaded jewelry with Just My Style Make n' Bake Bead Maker! Create an entire line of colorful clay jewelry to pair, wear and share with friends and family. Try different techniques, like combining different colors to create tie-dye clay beads. Add fun patterns with the stamped texture plates or make your beads sparkle with the fine glitter jars. This kit includes vibrant cording, colorful oven bake clay, glitter, a molding tray, needle, clay knife, mini tweezers, sparkling gemstones and easy to follow instructions. Recommended for ages 6 years and up. Mold Maker is designed to create permanent, flexible push molds in a matter of minutes. Duplicate interesting shapes and textures like sea shells, figurines, and antique jewelry. Repair ornate items like picture frames or sculptures with molded replica pieces. Can can also be used to make molds of your favorite creations, buttons, coins, and more. It is soft enough to shape around even the most intricate details and, after baked, can be used with Plaster of Paris, wax, or polymer clay. After baking, an Elasticlay mold is permanent and flexible. Makes a great clay softener when mixed with stiff clays - just add small amounts until the desired consistency is reached. This package contains 8oz/226g. Clay conforms to ASTM D4236. Made in USA. 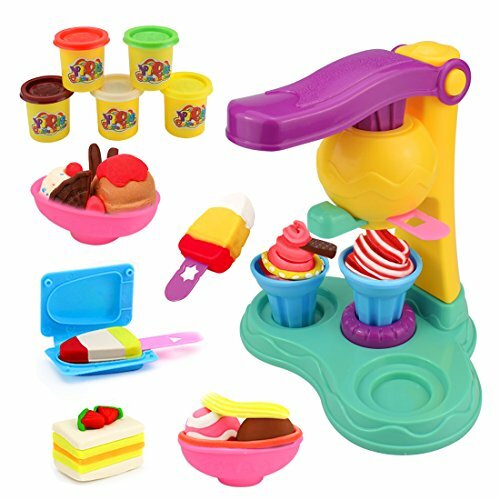 Description Feature -- Best DIY 3d color dough clay mold toy ice cream maker. 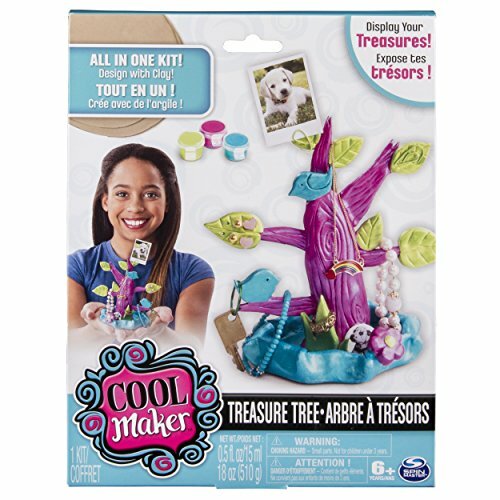 -- Help stimulate children's imagination and creativity, cultivate interest,kids can enhance their manipulative ability by using this toy tool sets. -- Good for family time Parent-child interaction, teaching your child about tools and their functions. -- Easy to carry, suitable for indoor and outdoor activities. Specs & Details Name: Ice Cream Clay Dough Tools Mold Set Material: Plastic Mold + Clay Dough Ingredients: Wheat flour, purified water, food coloring refined Mold Material: Environmental friendly plastic and premium grade materials Product Dimension: 34* 27*7/13.39*10.6*2.75inch Age: 3 years+ What Include ? 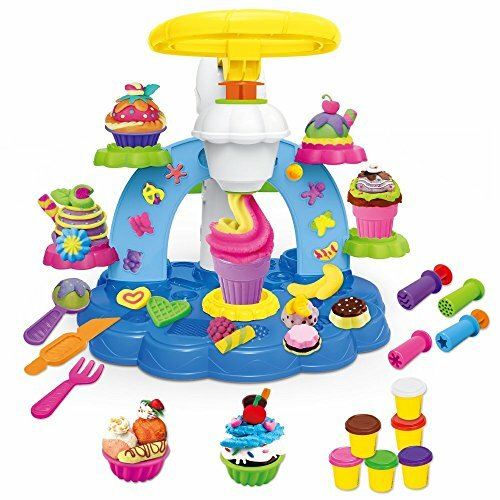 Ice Cream Machine x1 Small Bowl x2 Spoon x1 Multi-shape Mold x1 Popsicle Mold x2 Ice Cream Cup Tube x2 Mold Ruler x4 60g Color Mud x5 Warning CHOKING HAZARD -- Small parts keep away from infant in case your baby swallows it. Not for children under 3 years. 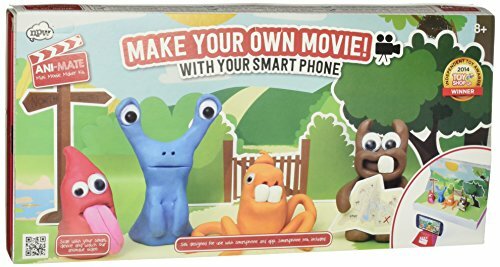 Gold medal winner in the Independent Toy Awards, this inspiring collection of props, sets and materials lets aspiring animators create their own stop-frame animated films using a smartphone app. Kit contains 8 blocks of modelling clay, 1 movie studio stage, 2 full color back drops (double sided), 1 plain white back drop, 1 phone stand, 4 sheets of stage and character props, 2 modelling clay tools, 18 googly eyes (in 3 sizes) and 1 instruction booklet. 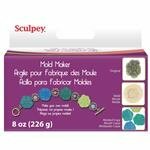 Compare prices on Clay Maker at ShopPlanetUp.com – use promo codes and coupons for best offers and deals. We work hard to get you amazing deals and collect all available offers online and represent it in one place for the customers. Now our visitors can leverage benefits of big brands and heavy discounts available for that day and for famous brands.